Sizzling Hot Summer Reads Blog Hop! 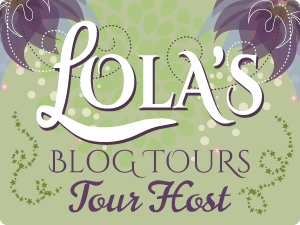 WELCOME TO THE SIZZLING HOT SUMMER READS BLOG HOP! Summer is here...at last. That was a looong, cold winter. Thankfully it's a distant memory now. :-) And it's time to kick back by the pool, the ocean or wherever you find relaxing and lose yourself in a sizzling hot summer read. There are a lot of great blogs and books to enjoy. Have fun! Each blog has their own entry rules so be sure to check them out. This hop starts July 1st and ends July 15th. Being promoted should be a dream come true, only it means working closely with Cleo's childhood crush, Jax Monroe. Jax may no longer be the rebel she remembers, but he still gets her heart racing like no other. Jax cares too much about Cleo to let her get too close—but keeping his distance is proving impossible! As Jax reveals the extent of what he's been through, will Cleo show him that some things are too precious to put off until tomorrow? TOP PICK! RT Book Reviews 4.5 Stars ~ "Faye's romance tugs at the heartstrings and the surprising element of suspense is the perfect addition to make this one fly off the shelves. Readers will be engaged from start to finish as they try to unearth secrets alongside the bold characters."